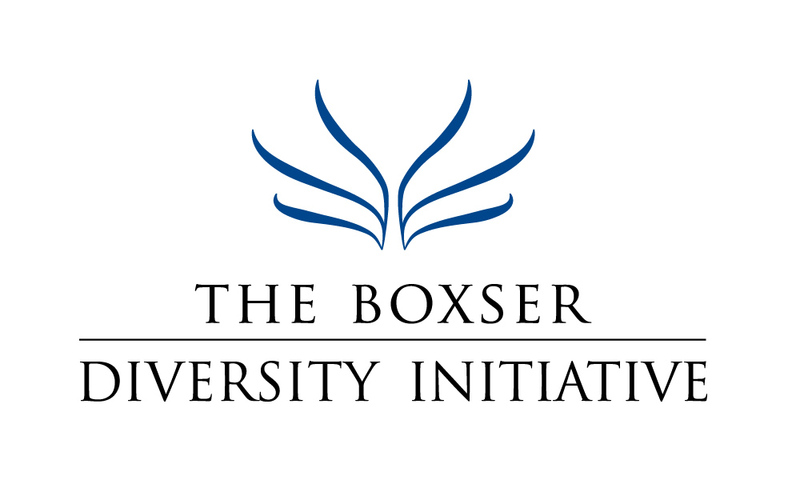 The Boxser Diversity Initiative presented “The Freedom Riders; Their Relevancy Today” November 16, on the campus of New College of Florida. 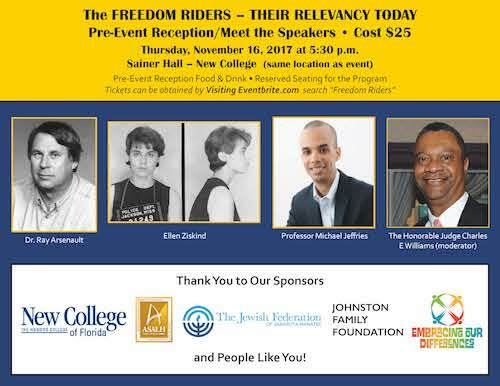 The sold-out event celebrated the legacy of the 1961 Freedom Riders and contrasted that movement with the modern movements for social justice and racial equality. The panel discussion was preceded by a performance of the Booker High School “Jet Stream” vocal group and a short film tribute produced by Manatee Educational Television. 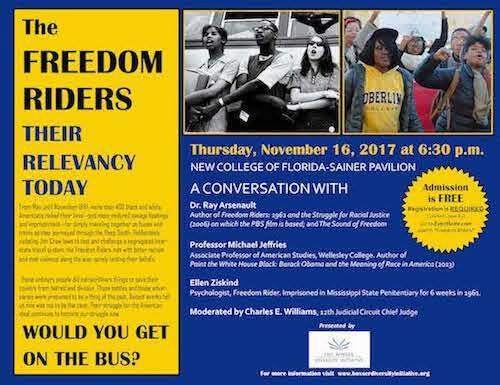 The panel featured Ray Arsenault, who wrote “Freedom Riders: 1961 and the Struggle for Racial Justice” that was the basis of the award-winning PBS program of the same name. 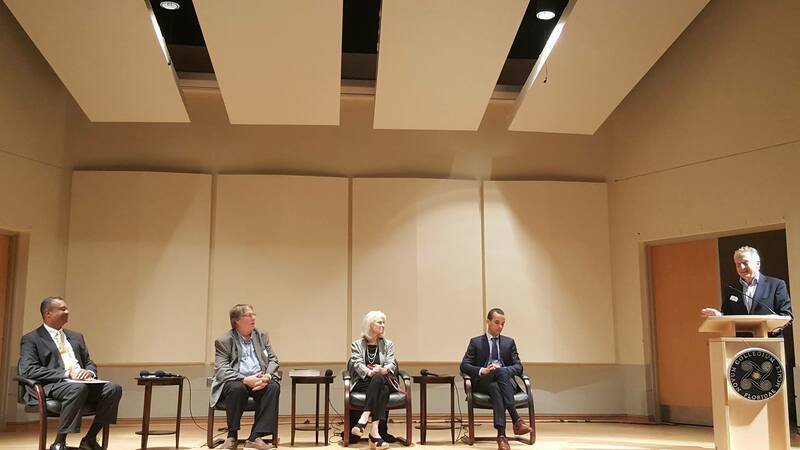 The panel also included Ellen Ziskind, an original freedom rider who was imprisoned in the infamous Parchman Prison in Mississippi for her civil rights activities, and Michael Jeffries, author, lecturer, and professor of American studies at Wellesley College. 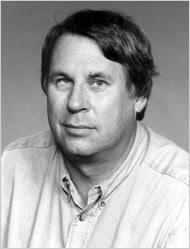 The John Hope Franklin Professor of Southern History and Chairman of the Department of History and Politics at the University of South Florida, St. Petersburg. A frequent consultant for various civil rights museums and documentaries, he is the author or editor of nine books, including Crucible of Liberty: 200 Years of the Bill of Rights (1991), The Changing South of Gene Patterson: Journalism and Civil Rights, 1960-1968 (2002); Freedom Riders: 1961 and the Struggle for Racial Justice (2006); and The Sound of Freedom: Marian Anderson, the Lincoln Memorial, and the Concert That Awakened America (2009). The 2010 PBS American Experience documentary, Freedom Riders, based on his 2006 book, won three Emmys and a George Peabody Award. He is currently writing the first full-scale biography of the legendary tennis player and public intellectual Arthur Ashe. 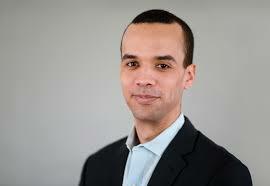 Professor Jeffries is Associate Professor of American Studies at Wellesley College. His work is focused on racism, sexism, and exploitation. He teaches courses in race and cultural studies, and the sociology of sport. His latest book is Behind the Laughs: Community and Inequality in Comedy. His previous, Paint the White House Black: Barack Obama and the Meaning of Race in America, uses Obama-related topics to demonstrate how race relies on other social forces, like gender and class, for its meaning and impact. It addresses race and nationhood, “biracialism” and Obama’s mixed heritage. Dr. Jeffries’ first book, Thug Life: Race, Gender, and the Meaning of Hip-Hop, puts the spotlight on hip-hop fans and documents the ways everyday listeners define hip-hop and use it in their lives. Non-academic writing has been published by The Boston Globe, The Atlantic, The Guardian, and other outlets. He is a regular contributor to Boston’s public broadcasting station, WGBH. Freedom rider. 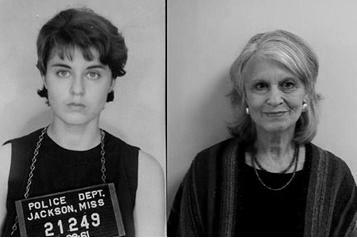 Imprisoned in Mississippi State Penitentiary for 6 weeks in 1961. Psychotherapy and Consultation Practice, Brookline, MA. Formerly affiliated with Harvard Medical School at Cambridge Hospital and Beth Israel Deaconess Medical Center, Boston, MA. Co-editor of two books: Internal Family Systems Therapy: New Dimensions and Innovations and Elaborations in Internal Family Systems Therapy. 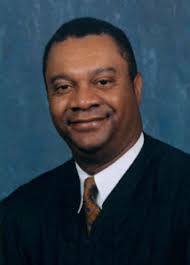 Served on numerous Committees and Boards but he is most proud of his work and partnerships with the Palmetto Youth Center, the Booker High School Law Academy, Florida Studio Theatre and the Sarasota County Bar Association’s Diversity Committee. Recipient of the Sarasota County Branch NAACP’s 2014 Lifetime Achievement Award as well as the 2014 C.L. McKaig Award, in recognition and appreciation of his tireless dedication to promoting the ideals of equality, justice, and professionalism.